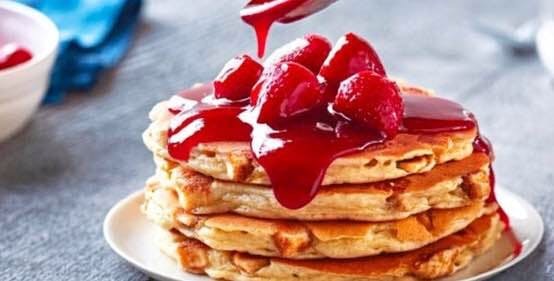 Finally, Gurgaon gets an American breakfast place which serves a fine range of pancakes, waffles, french toasts and crepes. The traditional buttermilk pancakes are the best - fluffy and delicious. You also get omelettes, eggless waffles, sandwiches and crepes. Would definitely recommend the chicken florentine crepe - two crepes filled with spinach, cheese, mushrooms and grilled chicken breast. Ihop is a popular breakfast chain in the West and one expects smiling faces and great service. That is definitely something which could get better. The breakfast combos are really good and the juices are quite fresh. So do try them! No One Does Pancakes Better Than Ihop! Sweet Tooth? Sign Up For Unlimited Desserts At INR 250 At IHOP! We’re Trying To Keep Calm Because IHop Is Starting Home Delivery!